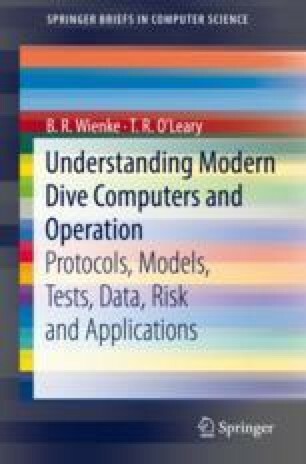 To validate computer models, diving data is necessary. In the past, data consisted mostly of scattered open ocean and dry chamber tests of specific dive schedules. In such instances, the business of correlating model and diving data was only scratched. Today, profile collection across diving sectors is proceeding more rapidly. Notable are the efforts of Divers Alert Network (DAN) and Los Alamos National Laboratory (LANL). DAN USA is collecting profiles in an effort called Project Dive Exploration (PDE) and DAN Europe has a parallel effort called Diving Safety Laboratory (DSL). The focus has been recreational dive profiles for air and nitrox. The LANL Data Bank collects profiles from technical diving operations on mixed gases for deep and decompression diving on OC and RB systems. Both have uncovered interesting trends in diving and have been used for meaningful statistical correlations of diving models.